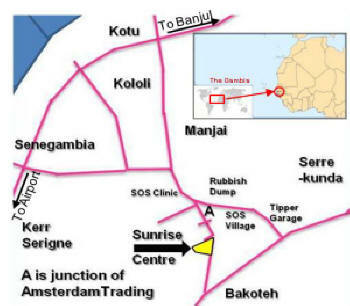 You are very welcome to visit Sunrise whilst you are in The Gambia - but please ring the office first, on one of the numbers above, to arrange a mutually convenient time. It’s a good idea to check the School Calendar before arranging to come, to check that school is open that day! If you want to see any particular class in action the timetables for each class can be found by following the link to the classes from the Sunrise Centre page.